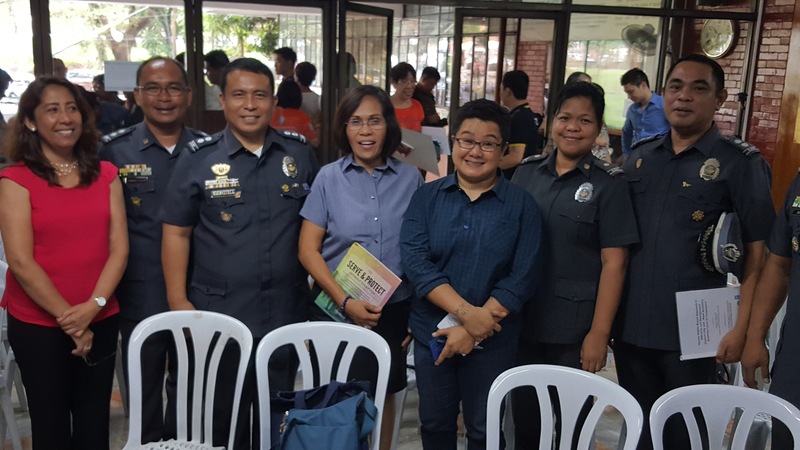 Ging Cristobal, Project Coordinator for Asia & Pacific Islands Region, attended the Commission on Human Rights (CHR) signing of the Memorandum of Agreement (MOA) of CHR with the Bureau of Jail Management & Penology (BJMP) and Philippine Public Safety College (PPSC) last Wednesday morning. Ging was invited to sign as a witness representing the Stop The Discrimination Coalition. She was also asked to briefly present the research OutRight made on addressing police abuse experienced by LGBTI persons. Our partnership with BJMP, PPSC & the Bureau of Corrections (BC) will now move forward. Retired General PPSC President Ricardo de Leon was reading our research during the program and commended four modules. OutRight will be setting a meeting with General de Leon to discuss the incorporation of the modules into the PPSC curriculum. The PPSC is the agency that produces the curriculum for the six law enforcement agencies as stated in our research. 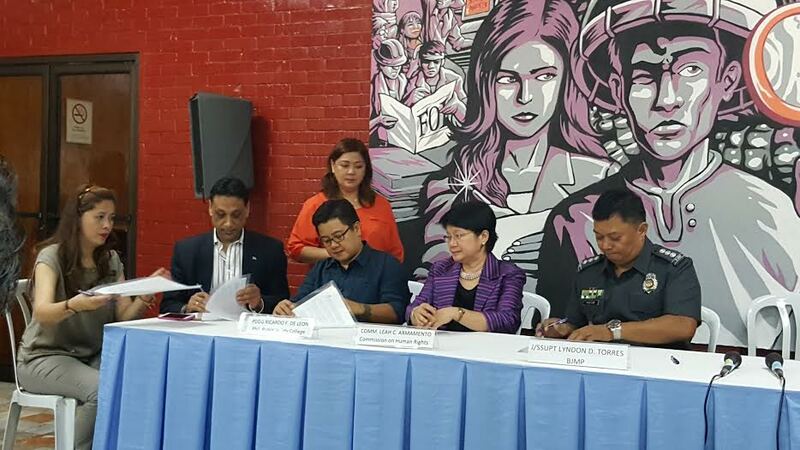 Aside from providing SOGIE sensitivity workshops to jail management and staff to the BMJP and BC, OutRight will also assist in the review of the operational procedures of the BJMP, which is under review in 2017. The PNP needs to amend the Police Operation Procedure handbook to include specific procedures for sensitive and appropriate handling of LGBTI persons, particularly during body searches and detention; expand the mandate of the Women and Children’s Desk of the PNP to include transgender women; formally implement protocols for SOGIE-inclusive police community relations; and incorporate SOGIE as one of the topics in the continuing education program required for the license renewal of security agencies and personnel under the PNP. 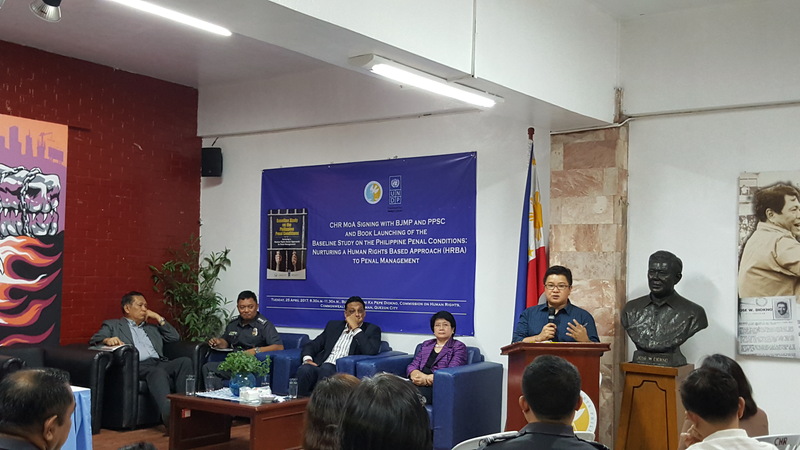 The Bureau of Jail Management and Penology should amend its 2015 Comprehensive Operations Manual to include specific and proper procedures for incarceration of transgender persons and treatment of LGBTI inmates. 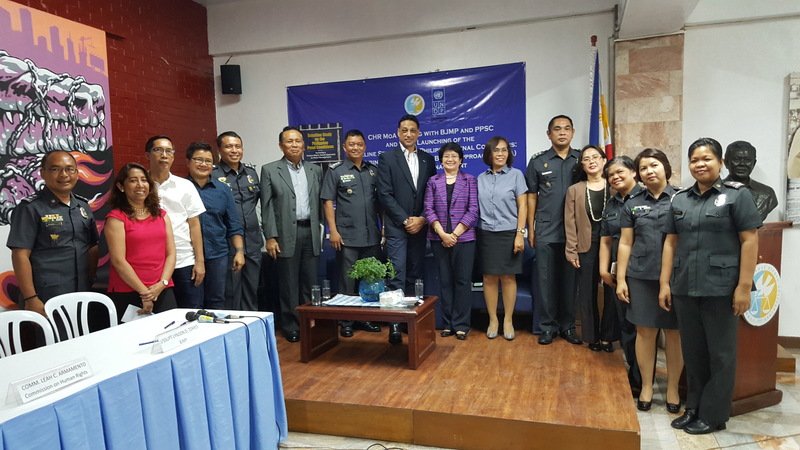 The Philippine Public Safety College (PPSC) should formalize directives for incorporating SOGIE into the curriculum used by the National Police College (NPC), Philippines National Police Academy (PNPA), National Police Training Institute (NPTI), National Fire Training Institute (NFTI), National Jail Management and Penology Training Institute (NJMPTI), and the National Forensic Science Training Institute (NFSTI).